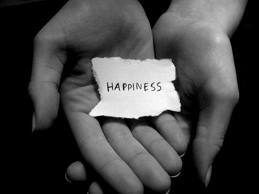 Don't You Want to Know the Secret to Happiness? The first word our granddaughter ever spoke was “ta-ta.” No, she was not talking to that tall man, the one wrapped around her tiny finger whom she will eventually call Daddy. And alas, this was not her version of Safta, Hebrew for "grandmother." This precious new person used her newly acquired gift of speech to say the words that will give her the most happiness and satisfaction in life. Thank You. It’s the first word a Jew says every morning upon arising, and throughout our day. 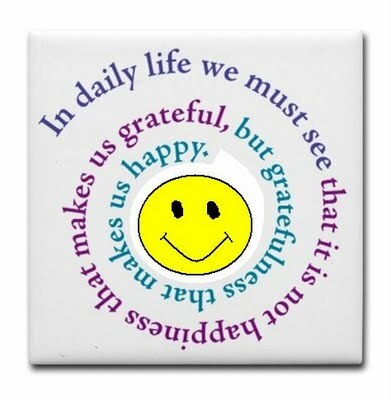 We say “thank you” in dozens of brachos all day long, but I wonder, do I really know what it means to be thankful? I am very thankful for the blessings in my life, my DH, our great kids and granddaughter, health, living in Jerusalem... but I also complain, feel helpless and out of control a lot. Not a good sign of gratitude. Rebbetzin Luba Fuer, the daughter of Rav Gifter of Telshe, gives a weekly class in the Old City which I attended last week. She told us about a book that is changing her life. 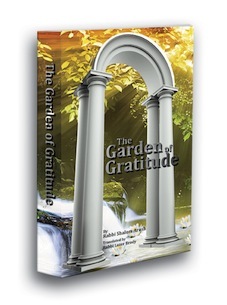 The Garden of Gratitude, a follow up to the popular Garden of Emuna, she said is coloring the way she looks at the world in ways she never imagined. If such a book resonated deeply with this amazing woman, raised in the home of one of the generation's great Torah leaders, I put looking into it on my list of things to do. That night I woke up at 2 in the morning with a lot on my mind. The day ahead of Shabbos cooking and cleaning, a bounty of unreturned calls and emails, the constant tug of missing my kids and this unbegun newsletter. Gratitude was not on the list. Studies show that grateful people are happier, less depressed, less stressed, and more satisfied with their lives and social relationships. They also have higher levels of control over their environment, personal growth, purpose in life, and self acceptance. They cope with the ups and downs of life and learn from experience. Denial, blame, escape are not part of their vocabulary. And they sleep better. Thanksgiving seems like a good time to connect to the Jewish view of Gratitude and work on it for a while. In just about a month, we’ll be celebrating Chanukah. Eight days of Hallel, eight days of thanking Hashem for miracles. The Alter of Kelm says Chanukah is the special time for gratitude, as it says, "They established these eight days in order to give thanks and to praise..."
I'll be readingThe Garden of Gratitude, a bit a day, in preparation for a more meaningful Chanukah. Change takes time. I hope that when Chanukah arrives and we light our menorah in the chill of a dark winter night, I’ll be burning with gratitude for the daily, minute by minute miracles that abound in my life. If you want to join me in this journey to happiness, here's the map. See ya there! Of course, I cannot leave you without some recipes and menus to make Thanksgiving meals fit for your royal family and guests!